Choose 12 yards of 1/8 inch skinny elastic. 1 yard = 36 inches. Minimum per color is 1 yard, no half yards are sold. 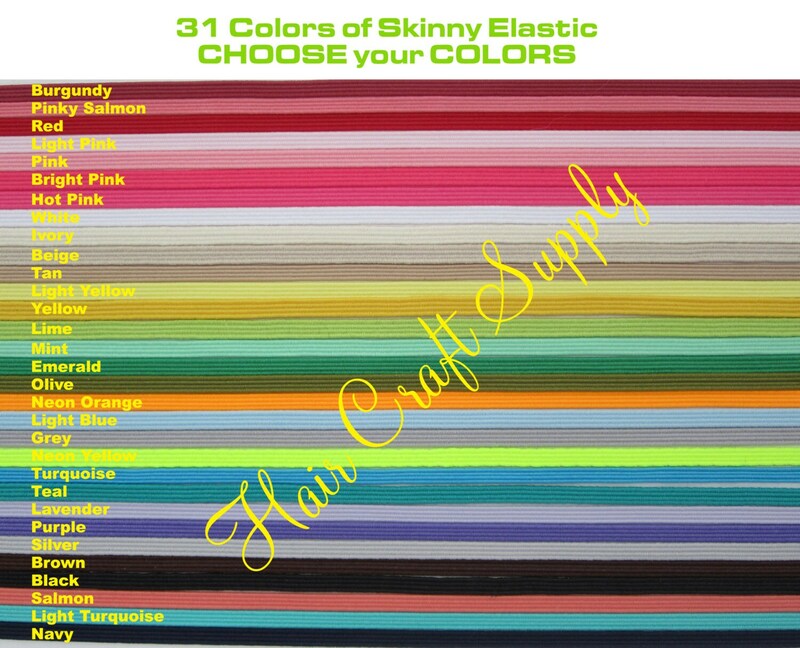 You can choose any combination of colors to make up 12 yards. Other listings with larger quantities are available in our store. 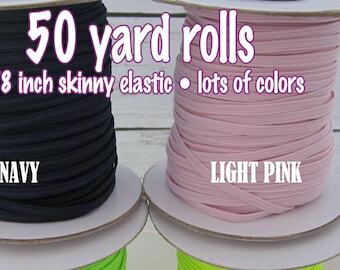 5 yards maximum per color. Please message us for larger quantities to make sure we have it in stock before ordering. PLEASE NOTE COLORS IN NOTES TO SELLER ON CHECKOUT. Photos of ready made items are for informational use only. 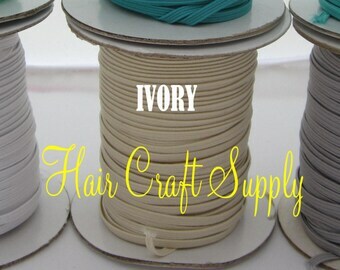 You can purchase ready made items. Thanks for such nice quality elastic!